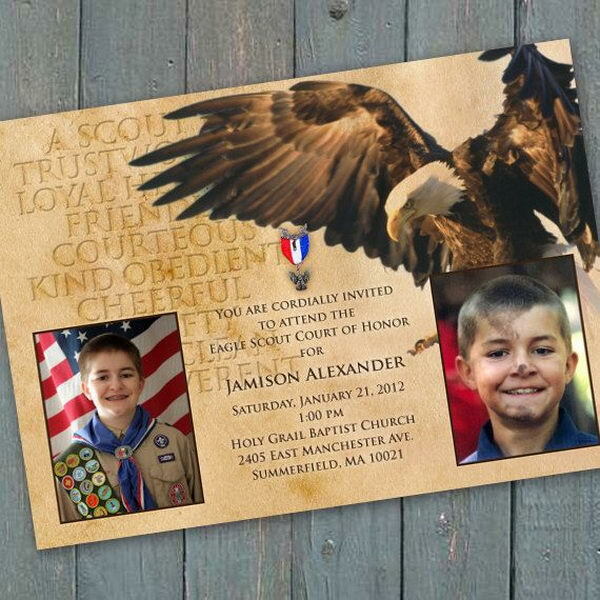 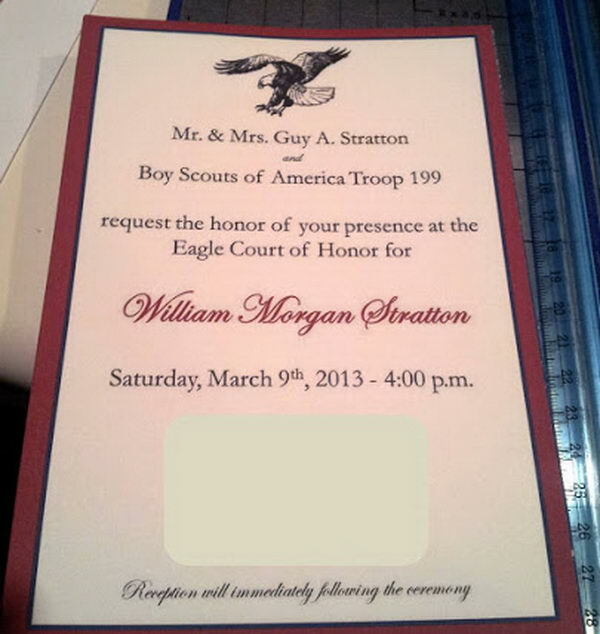 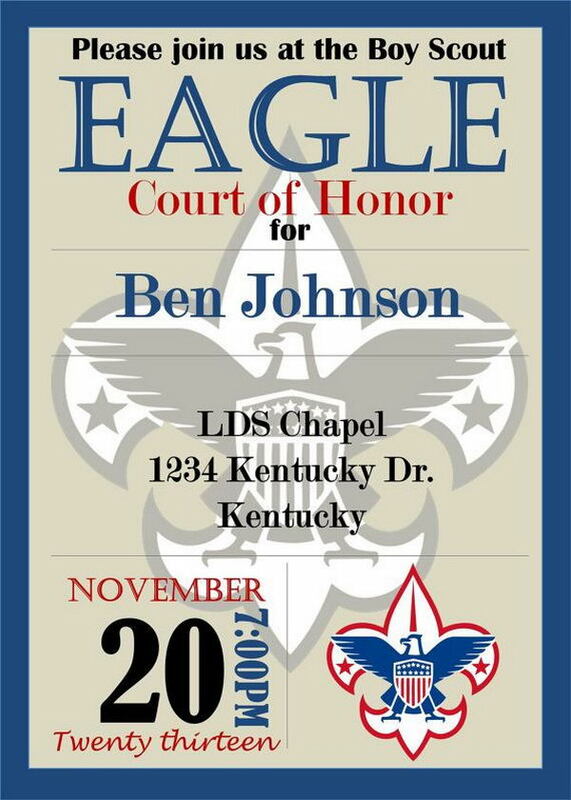 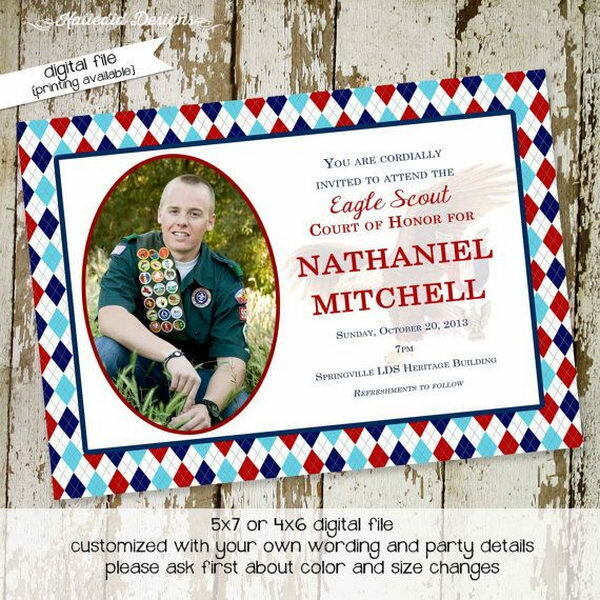 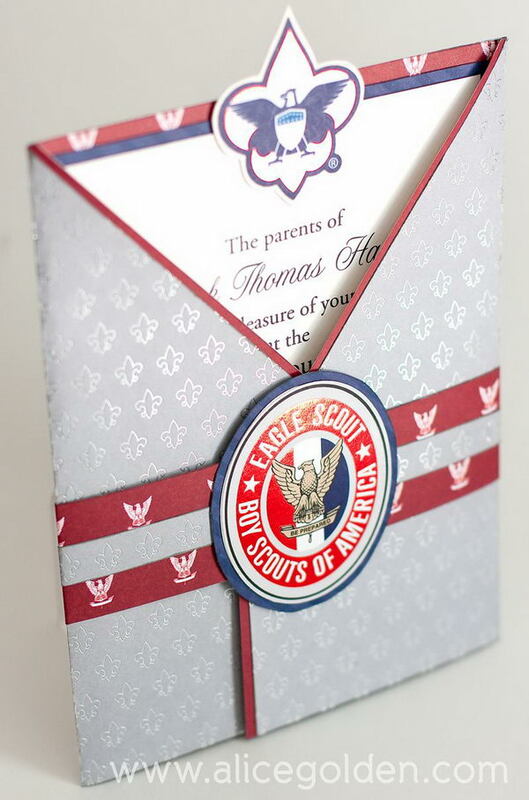 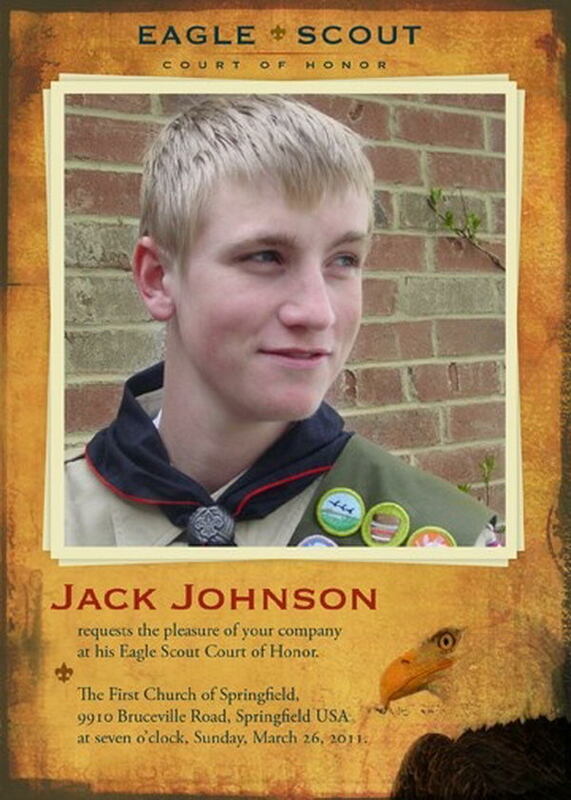 Preprinted Eagle Scout invitations are available at scout shops as well as from the national organization. 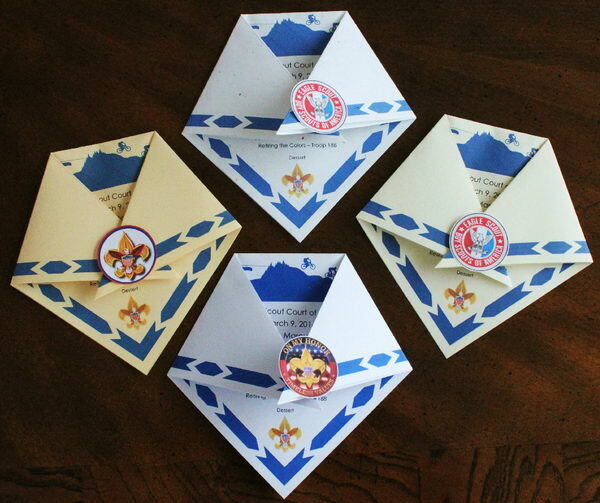 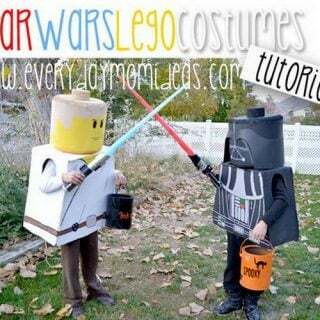 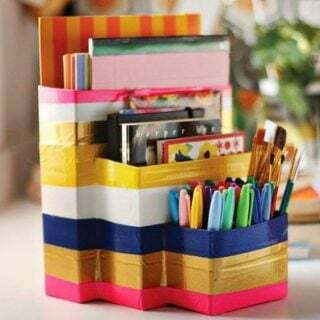 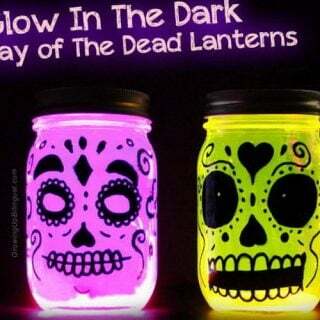 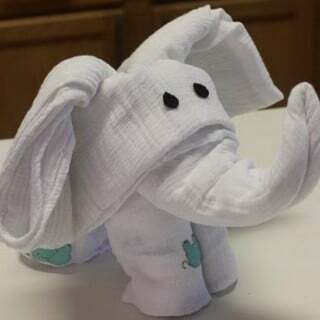 However, some scouts prefer to create their own to stand out and be creative. 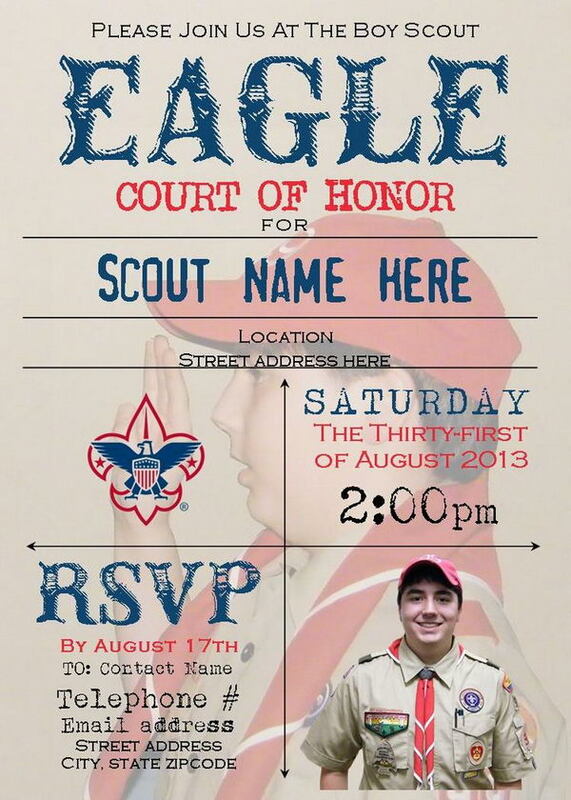 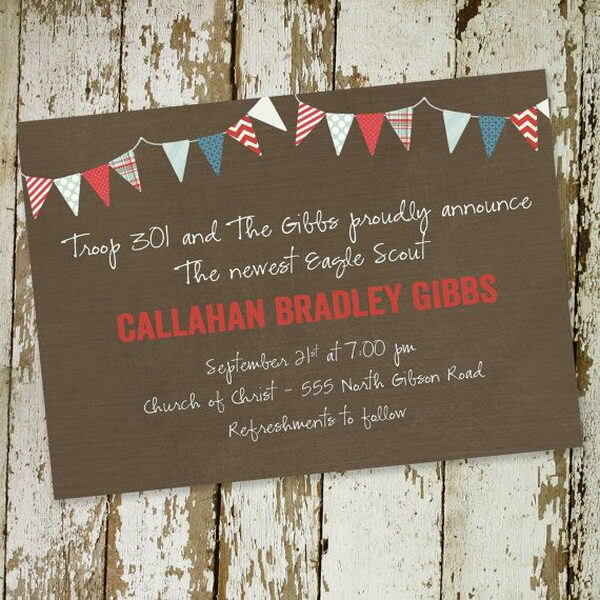 Here is a list of cool eagle scout invitations we’ve found. 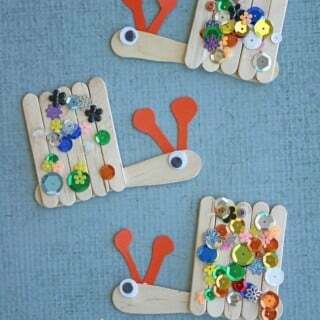 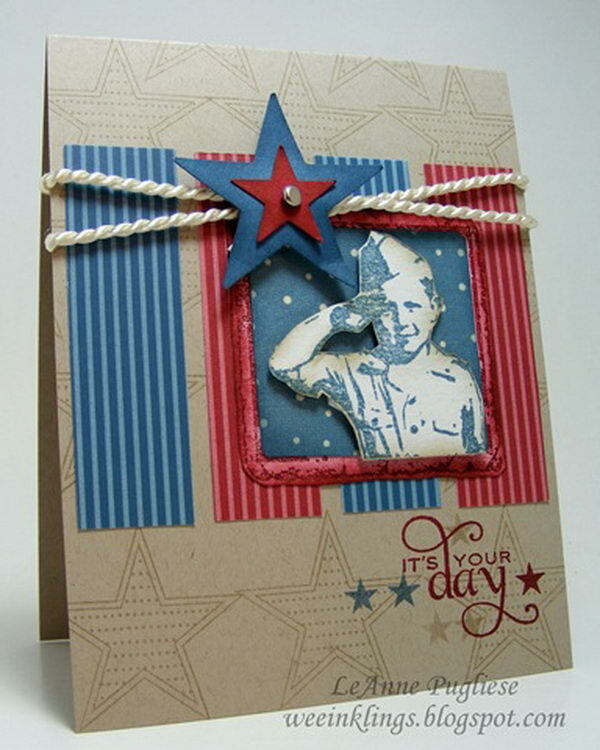 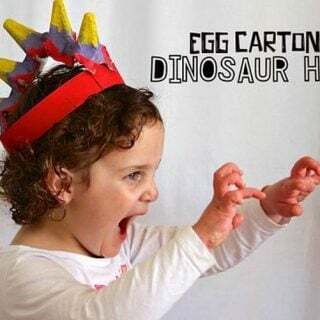 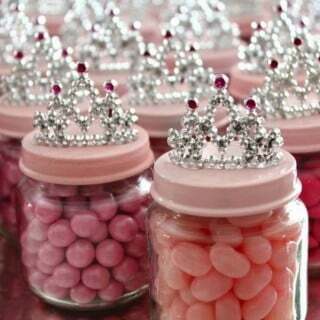 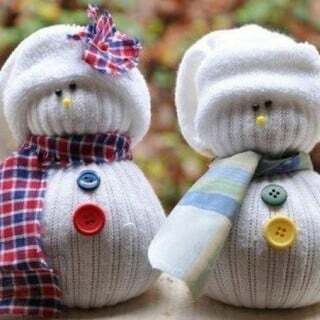 They will surely inspire you for your own custom-made creations and make yours stand out.